Amenity rich Australian premiere a five star Hotel. The ensemble that will guide us through one hundred historic years of Singaporean life framed within the same hotel appear accompanied by cymbals, pizzicato strings and brass. At the sight of their compact suitcases, we can all but smell the vintage leather throughout the meticulously executed opener. It’s a taste of great things to come. They don spotless uniforms, transforming into bellhops and maids, and a rousing excerpt of Rule, Britannia! checks us in to 1915. We voyeuristically observe a honeymooning couple; it’s a heinous transaction, but not for the expected reasons. Hotel grants us peek-a-boo access to a guest room for eleven scenes; one set each decade. Together, the two-part epic runs five and a half hours; six vignettes in part one and five to conclude. Laborious this is not, as each episode stands alone and masterfully also achieves contextual success. It’s a fascinating, century-long journey to embark on. As the steadfast bricks and mortar create a frame, the whirlwind of action around them expertly explores the notion concerning walls being able to speak. Singapore’s official languages run to four, but writers Alfian Sa’at and Marcia Vanderstraaten add another five (with English surtitles). The complexity and opportunities this affords the production are immense and Directors Ivan Heng and Glen Goei skilfully utilise the layers with intriguing effect. The hotel’s employees ingeniously link the guest room scenes, creating much more than a filler to herald a different decade. Era-pertinent choreography and music keep a perpetual movement to the chronicle and add discreet, helpful perspective. The cast, taking on multiple roles, are as talented as they are versatile. Jo Kukathas as Professor Rau, and later as Miss Devi, all but steals her scenes, but for the outstanding quality of acting among the entire ensemble, consistent throughout. Almost all of the jokes hit home; some perhaps lost in cultural translation, but there is no shortage of laughter. The 1925 scene is a bittersweet farce delivered with exceptional comic timing, the gags intended to highlight the difference between our civility and our languages are met with raucous laughter. 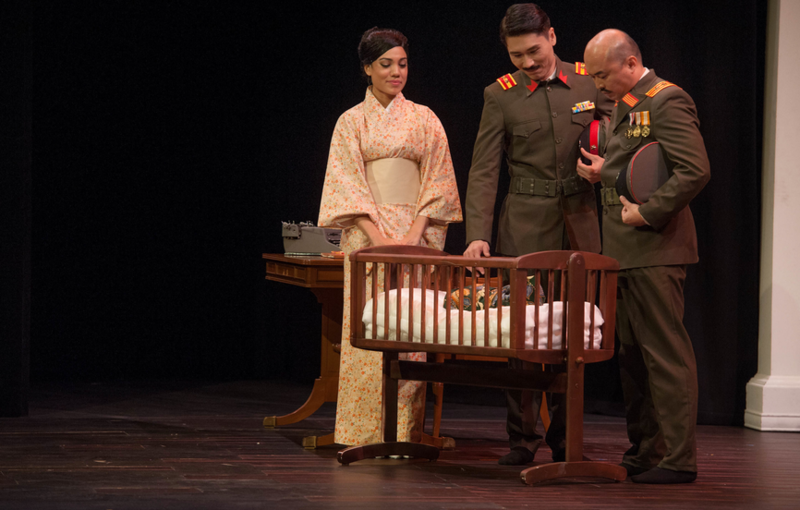 The quirky séance scene of 1935 is as humorous as it is poignant, and the Japanese occupation of 1945 boldly explores some issues surrounding the personal lives of those at the heart of a conflict. Stylistically, the vignettes borrow broadly from a wide artistic palette, but instead of jarring or dulling the tales, this, along with the factual historical foundations, brings a little familiarity to the proceedings, making us, like all the best hotels, feel right at home. Period wallpaper created by lighting, stock footage and newspapers and reels add depth, context and intrigue to the outstanding script. The journey takes our emotions on a rollercoaster ride through some of the best and worst aspects of the country’s history. Pausing in 1965 at the conclusion of part one, leaves us with the strange effect of almost feeling short-changed, such is the desire to know… what happens in the end?! 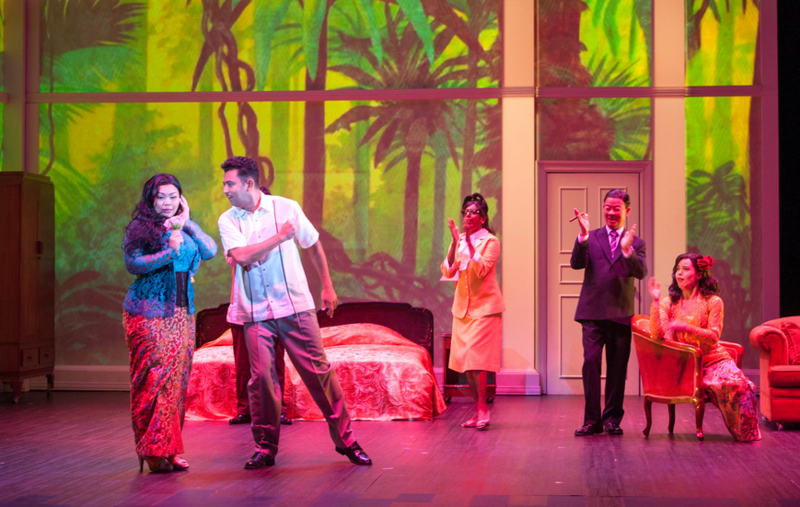 Hotel is at the Adelaide Festival Centre as part of the OzAsia Festival until September 30. Read the review of Part 2 here. A world premiere by James Ledger demonstrates that he's a formidable composer for the string quartet. Brian Howard’s opera is given an impressive revival in a suitably grungy new performance space. Plowright gives a Czech composer a fair Suk of the sauce bottle.